If you are having issues with your oral health, then you have come to the right place to find all the answers that will help you fix that issue. We have decided to create this article and dedicate it to all the simple ways that can and will help you achieve healthy teeth and gums. 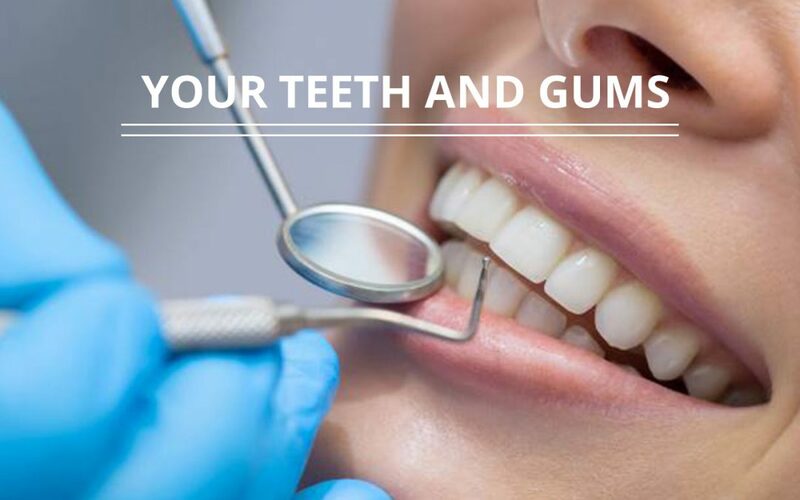 It is very important to take care of both your teeth and gums, you don’t want to forget flossing because your gums will suffer from all the junk food that you might be eating. Pieces of food will get easily stuck between your teeth and it can damage your gums. It is quite easy to realize if you have bad oral health and your gums are not in good condition when you brush your teeth, you will start bleeding from the gums. That is a clear sign that something is not right with your gums and that you should probably visit your dentist. Of course, there are some toothpastes that say they can have healing effects on your gums, but that is not enough, you need to visit a professional to heal your teeth and gums. Here is a short list of some very beneficial ways you can improve your oral health. The number one thing that you need to be doing is to visit your dentist once in every three months. If you haven’t visited your dentist for a long time, make sure that you do it right after reading this article, there shouldn’t be any time wasted, this is a very serious and important thing to do. preserving your teeth and gums can be only possible if you are using professional help. Of course, cleaning your teeth is a good thing, but sometimes, you cannot save your teeth with just cleaning them at home. In some cases, you need doctors to take a look because they have professional equipment that can fix anything. If you think that you might be a lost case, don’t give up, dentists are always there to help you, no matter how bad your oral hygiene is. Some of the procedures might cost you a lot of money, but you cannot put a price on your health. Oral health can affect your entire body because if germs and bacteria start to grow in your mouth, it can easily get into your bloodstream through your gums. Later on, that bacteria can cause you all kinds of health problems and you won’t know where they came from. There are people who refuse wearing braces even if they are obviously in need of one. You don’t want to be that person because braces might change your entire life by giving you a beautiful smile. There is no such thing as too late for braces, if you haven’t used them as a little kid, it doesn’t mean you cannot put them on now. Just go to your dentist and talk to him about it, we are sure they will recommend that you wear them no matter your age. Of course, the older you are, the harder it will fix your teeth, but it is still possible to achieve.